League expansion is happening and Jiangsu Tongxi and the Chongqing Flying Dragons are set to become the newest additions to the CBA, bumping up the number of association members to twenty. 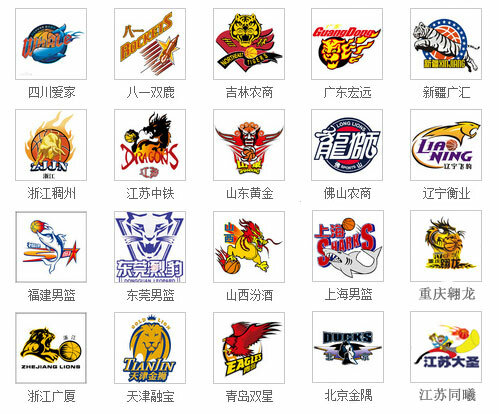 It marks another big day for the Chinese Basketball Association, who after years of not altering the league’s format, made sweeping rule changes this summer and have added three teams in less than twelve months (the other team, the Sichuan Blue Whales were promoted last year). On a short-term level, this will mean more playing opportunities for local players in China’s biggest league and in theory a stronger pool of talent for the national team to draw on. On a broader scale, it also says a lot about the CBA’s bullish new attitude to building up the league and having teams in as many large urban areas in the country as possible. Both the teams were ‘promoted’ out of the National Basketball League, China’s summer league and very much the second tier of basketball in the country. Teams in the NBL exist to demonstrate they can do well in that division and then hope for a call up from the CBA. The timescale for this happening is erratic; Sichuan Blue Whales got moved up last year and Jiangsu and Chongqing now make it three teams in a calendar year but before that, the league hadn’t moved anyone up since the Qingdao Eagles in 2008. 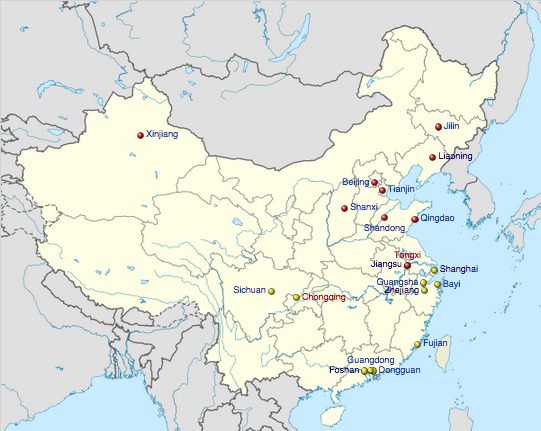 However, the common link between the teams that have been promoted up from the NBL; Yunnan (2004), Dongguan, Guangsha (both 2005), Tianjin (2007), Qingdao, Sichuan (2013) and now Jiangsu and Chongqing are locations that the league would want to move into. This says a lot about how the CBA is thinking right now; namely that it can expand into new areas and build up the league even though some teams are making losses and/or are sparsely attended (it helps that most teams get varying degrees of state and private funding). It also marks arguably the ‘third phase’ of the CBA’s existence having started in the mid 1990’s with a league mostly composed of military teams like the Bayi Rockets, Jinan Army and the country’s Air Force team. The 2000’s, as the army teams died out (with the notably exception of Bayi), saw the league bring in more teams with a civic connection but the location of these teams were remarkably varied; obviously several big cities got teams but so did far smaller places like Foshan and Jilin. This new phase implies the league are trying to get into major cities or areas that the initial reconstruction of the league didn’t manage to reach organically. The new teams that have been brought up from the NBL are also interesting in their own right. Jiangsu Tongxi will be playing in a province that already has a team, the Jiangsu Dragons. However, the Dragons themselves have been a disaster in recent years amid rumors of front office infighting and players losing patience. What may have been of interest to the CBA is that the Dragons, technically based in Nanjing, having played games all across the region including Changzhou and Nantong. This would suggest Jiangsu could support a second basketball team and it is interesting that Tongxi are reportedly going to be going to be based in Changzhou. The Dragons themselves, once a premier team in China, could also use a shot across their broadside to force them to get their act together but it remains to be seen how much of a wake up call this would be. The Chongqing Flying Dragons seem far more straight forward. Following the withdrawal of the Sichuan Pandas (1996-1999) and the Yunnan Bulls (2004-2009), south-west China didn’t have a local team for several years. Given the size of the region’s population (think tens of millions of people), this was not a good look for the CBA, who firstly brought up the Sichuan Blue Whales last year and now Chongqing to fill that gap. Curiously, the Dragons existence in Chongqing came about as a direct result of the CBA not wanting to have too many teams in one region. The Dragons were initially based in Guangzhou but the team’s home province, Guangdong, already had three teams (Guangdong Tigers, Dongguan Leopards, Foshan Lions) and a further team would have been too much. Foshan’s continued existence is presumably a bane to the CBA, who would much prefer having a third Guangdong team in a bigger city like Shenzhen, but it also forced the move of the Dragons to the more desirable and unoccupied location of Chongqing. The question now is, will there be further expansion? Looking at the NBL as it stands there are teams from several regions with no CBA team including Guangxi, Henan and Heilongjiang. Moreover, could Beijing or Shanghai support another team? It would be interesting to see if the CBA continues to target expansion as a means of growth as it is now a couple of teams away from being able to have two distinct South and North divisions for regular season and play-off schedules. The league already has divisions for All-Star selection so the concept is not unheard of in Chinese basketball. With the CBA now boasting twenty teams, this means thirty-eight regular season games; the most since the league restructured its schedule in 2009. Expansion therefore poses interesting questions with regard to the scheduling of the league and in turn, the sort of players it might want to attract. More teams will mean more games and all of this will result in an even longer season. One of the reasons why China is attractive to unemployed NBA players is that they have a short, well paid playing gig to use as a springboard back to the world’s best basketball league. As it stands, if the CBA starts at the same time as last year, the regular season may not be done until late February, possibly even early March. Any further expansion would mean the CBA invariably becomes a serious season-long commitment for players rather than a short sojourn. Perhaps the league wants that and if this season’s free agency is an indicator, several teams are themselves trying to move away from bringing in NBA guys and transitioning towards younger, lesser known players with experience playing overseas and who aren’t using China as a payday. This is a fascinating situation and like the consequences of expansion itself will need to be watched keenly.